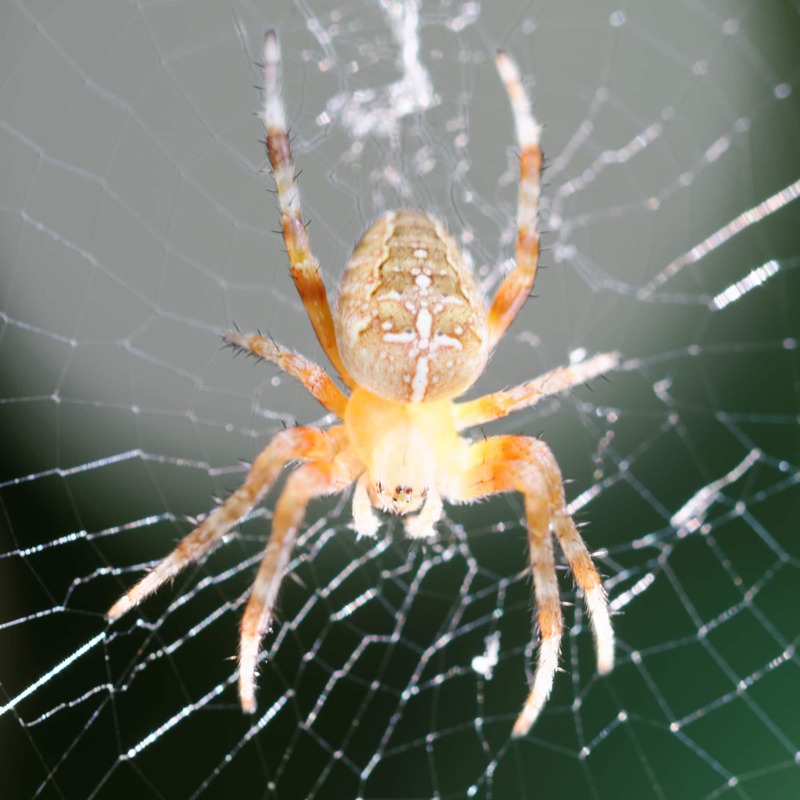 The European garden spider (Araneus diadematus, cross spider). Spider is 8 mm. long. Hi, yes I think this is Araneus diadematus also.